New research shows that breastfeeding is heart healthy for women. According to a new study from University of Pittsburgh, women who breastfed for one year were able to cut their risk of heart attack and stroke by ten percent. The study, which included 139,681 postmenopausal women, also showed that breastfeeding for just one month also lowered risk of heart attack and stroke in women who had not breastfed for thirty-five years. Breastfeeding was shown to have lasting cardiovascular benefits for women. The women in the current study who had breastfed their infants had decreased risk of diabetes, lower cholesterol levels, and reduced blood pressure, compared to women who had not breastfed their infants. A new study shows that one in ten youths studied show problems associated with video game addiction. 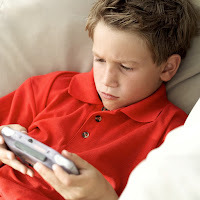 The study, from Iowa researcher and Assistant Professor of Psychology, Douglas Gentile, found that youth addicted to video games have a variety of health problems, perform poorly in school, and have difficulty paying attention to studies. Furthermore, video game addicts may even steal to support their habit. Gentile used the same criteria set to determine gambling addiction. Playing video games is not a problem in itself. According to Gentile, playing video games becomes can become pathological. "It's not simply doing it a lot. It has to harm functioning in multiple ways." Researchers from the Kimmel Cancer Center at Jefferson have reported findings that extract from the Nigella sativa plant suppresses the growth of pancreatic cancer cells. Nigella sativa, used medicinally for centuries in the Middle East and Asia, originates from the common fennel flower. Scientists believe Nigella sativa inhibits the growth of pancreatic cancer cells because of its powerful anti-inflammatory properties. A constituent of the oil extracted from the Nigella sativa plant is thymoquinone. Hwyda Arafat, M.D., Ph.D., associate professor of Surgery at the Jefferson Medical College of Thomas Jefferson University says thymoquinone reduced inflammatory mediators that promote growth and spread of cancer of the pancreas. Nigella sativa, also referred to as fennel flower, nutmeg flower, Roman coriander, blackseed, black caraway, or black onion seed, has also been shown to exhibit anti-cancer properties against colon and prostate cancer. So far, marijuana alone has not been shown to increase the risk of developing COPD. A new study shows that marijuana combined with tobacco smoking more than triples the risk of COPD, perhaps because marijuana makes the lungs more susceptible to damage from tobacco smoke. The study, published in the April 13 issue of CMAJ examined the effect of smoking both tobacco an marijuana, using incentive spirometry to measure lung function in 878 individuals, age 40 or above, in Vancouver Canada. Guidelines for the study included smoking at least 365 cigarettes per lifetime, and any history of marijuana smoking as self-reported by the study participants. Contrary to popular belief, getting a job promotion does not improve mental health. The results of a new study show that job promotion negatively affects mental health, likely from the increased stress. The study, from University of Warwick researchers suggests that job promotion may be a cause of worry rather than joy. Data from the British Household Panel Survey from 1991 to 2005 was analyzed by the researchers to determine if job promotion enhances mental health, which in turn leads to better physical health. The results of the study showed that mental health declined by ten percent among the British population studied. One reason that job promotion may negatively affect mental health is time spent at work rather than at the doctor’s office, also a finding of the study. Regular dental care can save health dollars spend on stroke treatment, diabetes, and premature births by promoting overall health. Scientists at the 87th General Session of the International Association for Dental Research present findings that periodontal disease is linked to systemic disease. Regular dental visits can reduce health care spending significantly by reducing systemic inflammation that leads to heart disease, promotes and worsens diabetes, and may contribute to premature births and stroke. Dental researchers say that observational studies show treating severe periodontal disease during pregnancy reduces the risk of premature births. Treating mild periodontal disease during pregnancy does not seem to have the same effect on preventing premature birth, suggesting the need for further studies. The scientists calculated health care savings of nearly $14 million by treating over 1600 pregnant women with all levels of severity of periodontal disease.